It took hitting 165 pounds at 15-years old in order for Kaila to see that something needed to change. 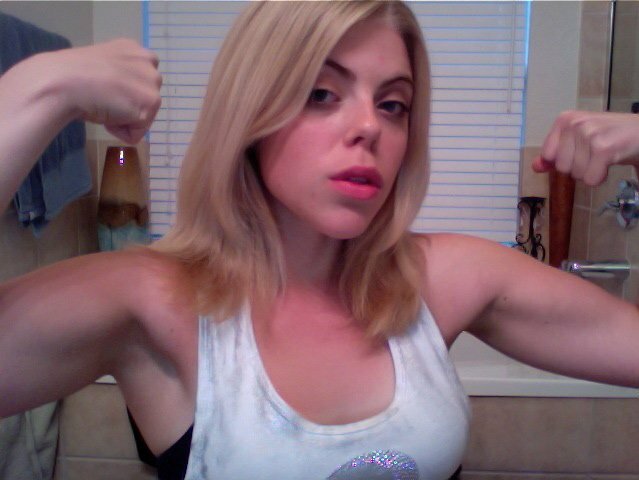 Read on to see how she found the inner strength to change her body and build back her confidence. I had been overweight for a majority of my life. I started really packing on the pounds when I was 7-years old. My grandmother had just lost her stable where I had spent a lot of my time and that was how I was getting a lot of my exercise. My mother had gone to the Culinary Institute of America and had worked in the food industry my entire life. She had little time to cook as she was constantly working to support us so I was always surrounded by processed food and fast food. So much junk entered my body I ballooned to 160 pounds by the time I was 10-years old. My father and my mother had divorced when I was 3-years old and I never had a healthy relationship with my father. For years I was emotionally and mentally abused, which also added to my weight gain. Nothing hurts more than being told that you are useless, ugly, fat and being called a bunch of miscellaneous swear words. I was depressed and miserable and knew that I had to get out of my relationship with my father, but I kept going back. I started binge eating thinking if I lost weight maybe my father would love me more. I would eat under 500 calories a day for the two days I was with my father then binge when I was with my mother. I had gotten down to 140 pounds by the time I was 13 but was back at 165 by the time I was 15. After my 14th birthday, I left my father&apos;s and never went back. He started threatening to kill me and I couldn&apos;t take it anymore. At this point I was drained emotionally, spiritually and mentally. I didn&apos;t look into a mirror for three years and I was terrified to see my own reflection. I had no confidence whatsoever and hated myself. 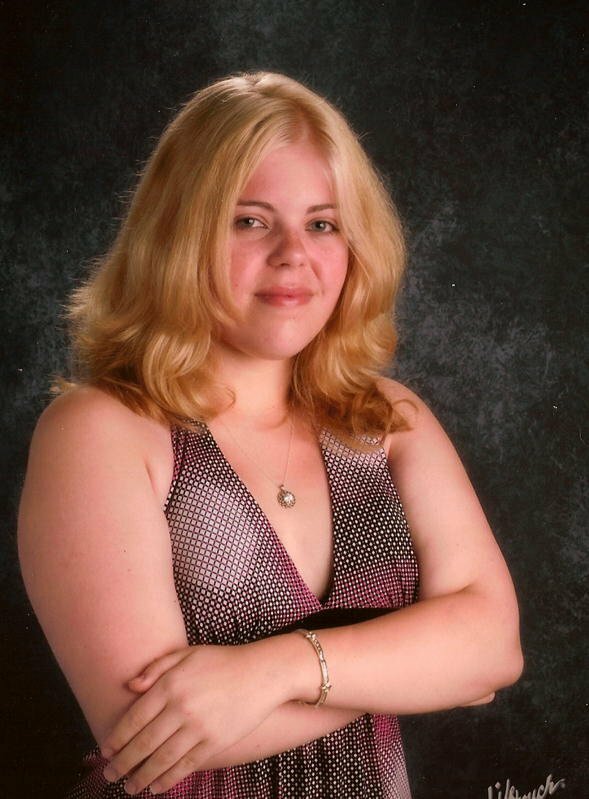 I had always been shy and it was hard enough to make friends being overweight and having kids pick on you but at that point I tried to push everyone away. I was never popular at school and didn&apos;t really care anyways if I had friends there; all I cared about was my education. Even during the darkest times, my education has been the most important thing and I didn&apos;t let anything happen to me affect my school work. I admit that I did not wear and own a pair of zip up jeans until I was 13-years old, that&apos;s correct, I wore those stretchy/elastic band jeans for years. When I started wearing regular jeans I was a size 8 in women&apos;s, by the time I started high school I was a size 11. 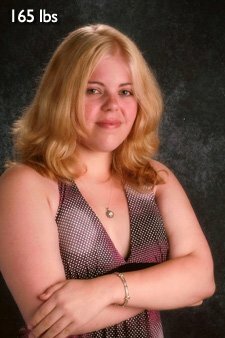 During January of 2009 I went shopping with my mother and had to buy sizes 12-and-13 jeans, all my shirts were size extra large. I was upset and my mother just blew it off and said that I was just big boned. I knew this was a lie and I had a major melt down. I was disappointed in myself and told myself I had the power to change myself and be everything I wanted to be. I was disappointed in myself and told myself that I had the power to change. I begged my mother for a gym membership for months and finally got one in March of 2009. I was terrified at first and had no clue what I was doing. I spent time on the treadmill, bike and elliptical the most and sometimes would venture over to the weight area but was intimidated by the men and thought girls should only do cardio. 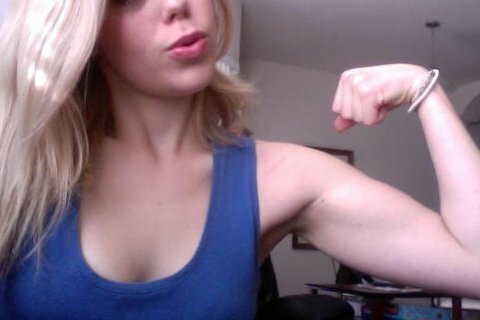 I went to the gym about 2-to-3 times per week and was a size 9/10 by my 16th birthday in June. I was happy to see results but wasn&apos;t pleased with what I accomplished. I started doing Bodyrock.tv workouts in September of 2009, this was when the site wasn&apos;t anywhere near as popular as it is today. The cardio plus the bodyrock.tv workouts got me to a size 2 by January 2010. As far as diet went I gave up soda even before I had my meltdown, I gave up fast food in March 2009, I tried to eat more fruit and veggies but I wasn&apos;t consuming much protein. I didn&apos;t have an understanding of proteins, carbs and fats at 15. All I knew about were calories and that I should eat less. I weighed 135 pounds in January of 2010 and continued to lose weight into the summer of 2010. 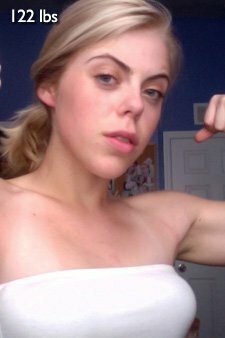 I was down to 110 pounds and was obsessed with trying to consume 1000 calories per day and continued to do cardio and do bodyrock.tv workouts. I was constantly asked if I had an eating disorder and people were amazed to see the difference, especially if they hadn&apos;t seen me in a while. I still wasn&apos;t happy with my body; I didn&apos;t have the muscles that I adored on girls like Alicia Marie, Marzia Prince and Jessica Putnam. I decided to do research and decided I would have to lift weights, eat a lot more, and get good quality protein into me if I wanted that look I wanted. 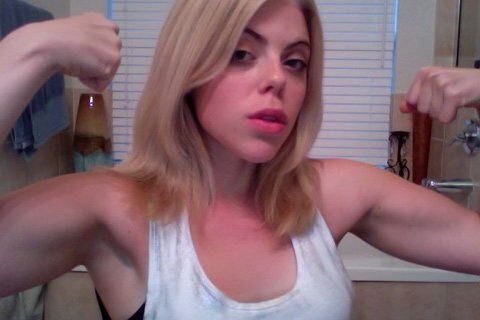 I started lifting weights on a split schedule in November 2010 (the same time I joined BodySpace) and have been in love since then. My body feels toned and tight and I feel healthy. I had once been a pit of lard, was once as frail and fragile as could be and now I can stand tall and proud with who I am. The gym really gave me a second chance in life. I was able to finally accept myself, I was able to push myself as hard as I could which has made me more motivated and confident in everyday life. For once I was and I am genuinely happy, I am physically and mentally fit. My journey has led me to something that I love, which is health and fitness, which I plan on pursuing by getting my PT certification as soon as I turn 18. Later this year I would also like to compete. Along the line I would like to own my own gym but I plan on going to medical school and will choose a specialty later on. I wouldn&apos;t trade my life or my past for anything. I think everything happens for a reason and I like to think that my journey will be able to inspire others. My goals are to continue building beautiful muscle, stay positive and happy, continue to live a healthy life style and help others. For once I was and I am genuinely happy, I am physically and mentally fit. You have the power to make choices. You get to choose the way you want to live. A journey begins with one step; you can&apos;t change yourself overnight and cannot be frustrated with yourself if things just don&apos;t magically happen. You have to work for what you want. Getting fit requires mental strength and will make you mentally stronger. Try to stay positive at all times and try to go with the flow when you can; but fight the current when it is necessary. I beg everyone to not live a miserable life, our time on earth is precious and we don&apos;t have time to be miserable for any circumstance. I also beg everyone to cherish their health, there are people out there that will never know what it&apos;s like to feel healthy and don&apos;t have the opportunity to live life to the fullest. Smile everyday as we all have something to be thankful for and blessed to have in our lives.